Cary, NC – Cary now has a new destination for beer as Jordan Lake Brewing Company opens in Downtown Cary, testing the waters with limited hours. 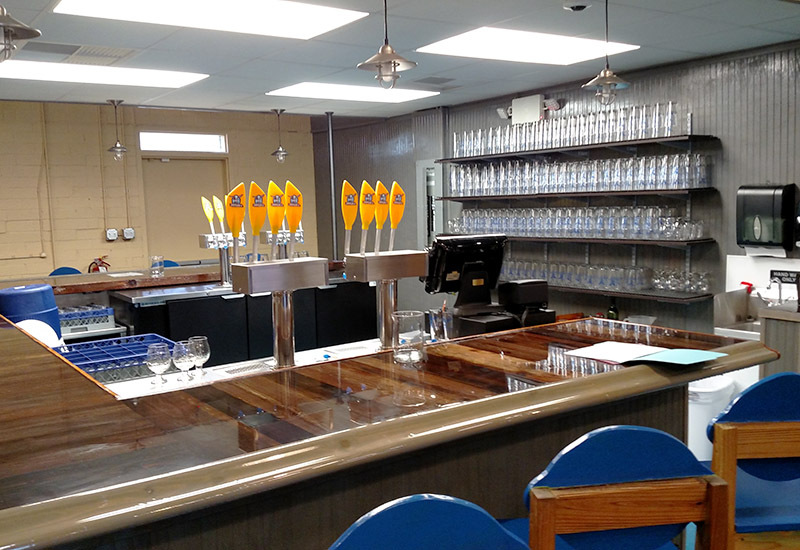 Jordan Lake Brewing Company first appeared on the Cary scene when owners Luke Carter and Charny Mitchell took an unused warehouse on East Durham Road and put it to new use as a brewery. After two years of looking for a location and building the business, Jordan Lake Brewing officially opened on Monday, February 20, 2017. For now, Jordan Lake Brewing will only be open from 4 to 8 PM, which will go on for two weeks. Carter said this was to make sure the staff could get trained and ready for the real deal. “Plus with only three beers right now, we didn’t want to sell out when we had hours posted,” Carter said. Those beers come from Carter and Mitchell’s shared love of beer and they have developed recipes for several new brews. 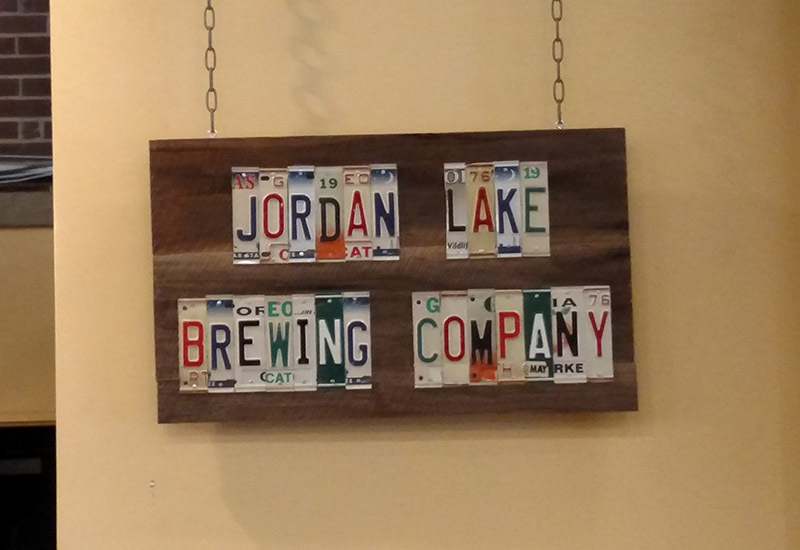 For now, the three beers Jordan Lake Brewing has on tap are an IPA, an oatmeal stout and a blonde ale. To get ready for this new business, Carter and Mitchell worked for a week at Goodhops on Carolina Beach. 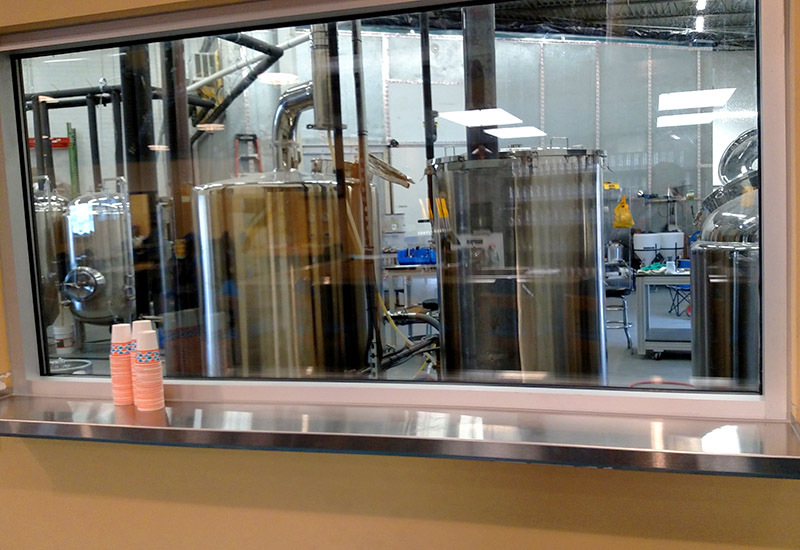 Neither have a background in selling beer; Carter worked at GlaxoSmithKline and has used his background in biochemistry and biotechnology to help in brewing and Mitchell worked in sales for campers, though Mitchell also has experience brewing on his own. Carter also said he wants to work with the Town of Cary and other groups to participate in the festivals they hold downtown. 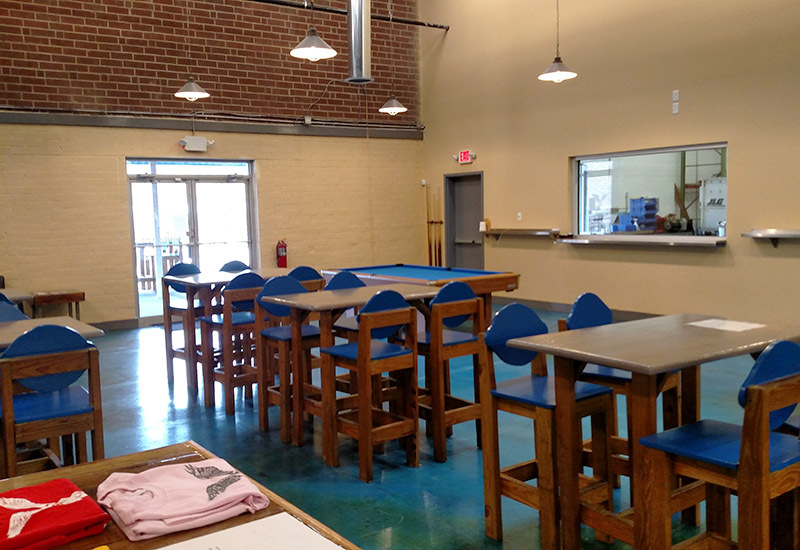 Inside Jordan Lake Brewing, there is a lot of space for crowds with a billiards table, darts and board games. The aesthetic Carter and Mitchell say they are going for, as suggested by their name, is a lake house feel. Both are big fans of camping and fishing and often go to Jordan Lake to do just that. For right now, the only decorations that reflect this is the water-blue floor but Carter said they are working on bringing in many more. In the meantime, Carter said the focus was just on getting open. “We wanted to get Cary satisfied with their requirements so we could open and sell beer,” he said. Jordan Lake Brewing Company is located at 320 E Durham Rd. Current limited hours are from 4 to 8 PM. Story and photos by Michael Papich.